New parking lot installations are important to get right. After all, this is the area of your business your customers will see first. With our new installation service, we survey the proposed area before grade and leveling. We install comprehensive drainage for water run-off that extends the life of your parking lot, reducing your costs in the long-run. Hard wearing, eye pleasing and built to last, new parking lots from Elite Asphalt LLC are the gold standard. Parking lot expansions are a fantastic and painless way to expand your business’s potential. Our teams work quickly, and in most cases without the need to close your current parking lot, to expand the area for customer’s vehicles. We smooth and blend the extension with the previous parking lot to create an unblemished surface that stands the test of time. Parking lot replacement is carried out quickly and professionally by the experienced teams at Elite Asphalt LLC. We remove old parking lot surfaces and grade and slope new areas to ensure proper drainage; a vital step for a long-lasting parking lot. Our surfaces are clean, presentable and hard wearing. Ideal for the DFW area. Make the best first impression with parking lot paving from Elite Asphalt LLC. Our parking lot paving offers some of the hardest wearing and longest lasting surfaces in the Dallas-Fort Worth area, able to withstand the rain and storms that occur here. Say goodbye to unsightly cracks and pooled water with parking lot paving from a trusted contractor. Asphalt is an ideal surfacing material due to its durability, low cost and lack of heavy maintenance required. Our resurfacing offers any surface a new lease of life, and one that is able to withstand heavy foot or vehicular traffic without trouble. When your parking lot needs a new face, Elite Asphalt LLC is the foremost asphalt resurfacing company in the Dallas-Fort Worth area. Reduce your costs and footprint with recycled asphalt paving from Elite Asphalt LLC. 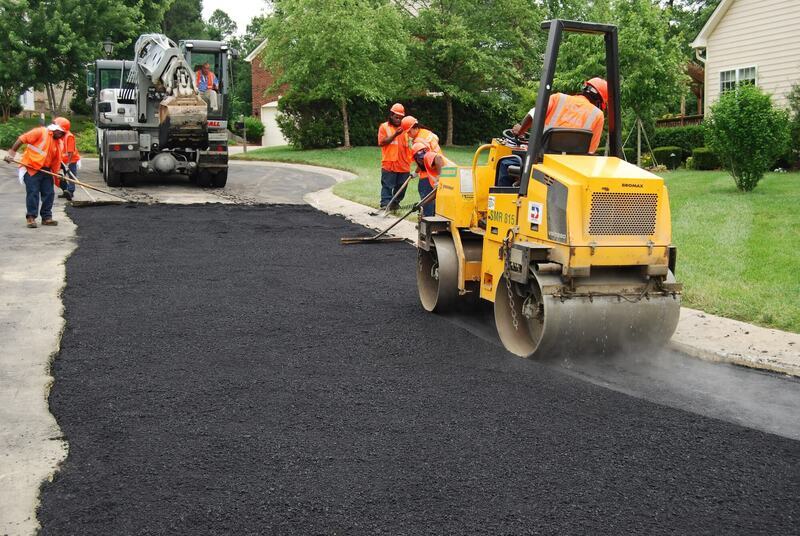 Recycled asphalt is created during the milling and pulverization of previous surfaces. Recycled asphalt makes for a superbly tough and compacted paving material, which is mixed with other aggregates to form a heavy-duty surface. Contact us to find out about recycled asphalt paving in the Fort Worth Texas area. Chip seal offers an extremely economical route for parking lot paving. Not only will chip seal extend the life of an existing parking lot, but it will also add extra traction for the increased safety of vehicles and pedestrians. Contact Elite Asphalt LLC and give your parking lot a new lease of life with quality chip seal paving in the DFW Texas area. Cracks in a parking lot surface are a sign that your lot needs immediate maintenance work. Cracks must be dealt with quickly because they allow in water which worsen the quality of the entire surface. Our crack repair surface is an efficient and cost-effective way to extend the life of your parking lot. Elite Asphalt LLC works quickly and professionally to reduce fuss. You won’t be disappointed. Potholes are unsightly and unsafe indications of a failing parking lot surface. Elite Asphalt LLC will work quickly and professionally to repair the potholes in your parking lot surface and improve its longevity. All for a cost-effective price. When your parking lot needs the finishing touches, come to Elite Asphalt LLC. We offer sweeping and clearing to prevent early deterioration of your parking lot surface, as well as traffic signage for safety of users and speed bumps to control speed on the parking lot. For parking lot finishing in Fort Worth, call us today. Sealcoating is an effective maintenance tactic that gives your parking lot the best protection against damage from weather, water and traffic. We coat your parking lot with high-quality sealants to extend its life and save you the cost of relaying an entire surface. For the best parking lot sealcoating in Dallas-Fort Worth, give us a call. Any parking lot that can be used by public or private car users must stick to ADA regulations and provide the correct amount of parking spaces for handicapped users. Ensure that you conform to legislation and offer your parking lot users the best experience with handicap space marking delivered by Elite Asphalt LLC. Give your parking lot visitors clear instructions with sign installation from Elite Asphalt LLC. To stop chaos and improve safety on your parking lot, signs are required. We install quality and durable signage across the Fort Worth Texas area. Call us today. Parking lot sweeping is the first line of defense against damage to your parking lot surface. Sweeping rids your parking lot of debris and items, like oil left by vehicles or asphalt that has come up off of the surface, that cause harm to the surface’s integrity. Parking lot sweeping from Elite Asphalt LLC is a catch-all, cost-effective route to secure the long-life of your parking lot surface.